Anti-Islam politician Geert Wilders last year tried to claim between €500,000 and €600,000 as parliamentary expenses for legal fees incurred during a trial for inciting hatred, the Volkskrant said on Saturday. Sources told the paper Wilders’ claim was rejected after discussions between members of parliament’s management committee, known as the presidium and on the advice of an accountant. Parliamentary parties are allowed to submit expenses claims to the presidium if they are for services needed to support their work. Civil servants and most members of the presidium decided the legal fees for the trial were private expenses. In addition, the claim itself was “not very concrete”, the paper said. 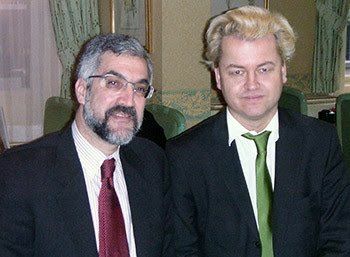 Wilders’ was represented at his trial by celebrity lawyer Bram Moszkowicz who has since been struck off. The bill was not broken down into daily costs and there was no proper explanation of all the charges, a source told the paper. Three other members of the presidium have also confirmed the story, the paper said. Outgoing Rep. Michele Bachmann (R-Minn.) says President Obama has embraced the “agenda of Islamic jihad” at every turn. “I have been very surprised, to answer your question, to see the president of the United States, at every turn, cut the legs off of our ally Israel, and in fact embrace and lift up the agenda of Islamic jihad,” she said in an interview released Wednesday with “Washington Watch“, a radio show produced by the socially conservative Family Research Council. Following the recent decision by Kennesaw City Council in Georgia to allow an Islamic prayer centre to open in a retail centre, a concerned citizen (who doesn’t even live in Kennesaw) has written to the Marietta Daily Journal to express his thoughts on the subject. St. Cloud-area religious leaders said Sunday they stand with the Muslim community after a series of vandalism at the Central Minnesota Islamic Center. 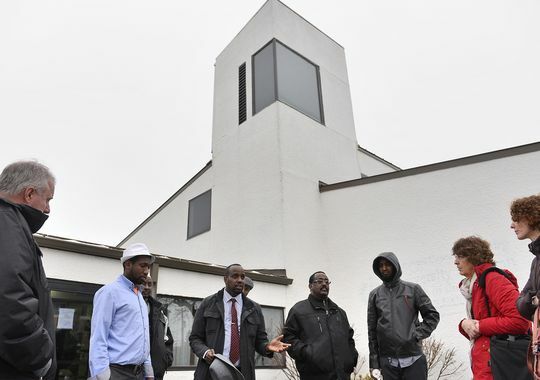 Religious and community members, including members of the Great River Interfaith Partnership, met Sunday at the Islamic center on Fourth Avenue South. In the past month four incidents of vandalism have been reported there. About 25 community members discussed the issue and looked at the damage done to the center. On Monday, Islamic center officials will meet with Bishop Donald Kettler. St. Cloud police continue to investigate the incidents and have increased patrols in the area. 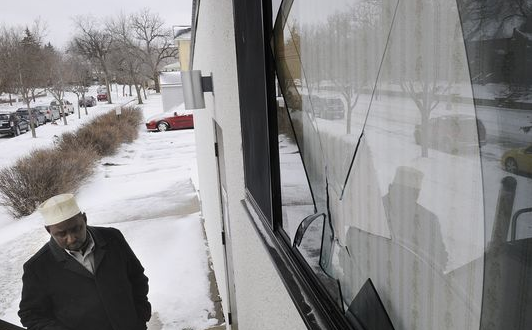 In late November someone broke the front window and community members had their vehicles damaged when they were parked for prayers before sunrise, center spokesman Mohamoud Mohamed said. About a week later another window was damaged. Early this month another window was shot 10 times with a pellet gun, the damage still visible. The most recent incident was reported Dec. 15 when a window was smashed while two members were inside the mosque. Ahmed Abdi is secretary of the Islamic center. He said he left about 10 minutes before the Dec. 15 incident occurred. He said he is worried about his safety and safety of others who come to the center. The Rev. Randy Johnson is the associate pastor at First United Methodist Church. He said as a community they have been here before, pointing at incidents in 2007 when a Muslim man was assaulted after leaving a mosque and cartoons put up near Somali-owned businesses in 2009 that depicted the prophet Muhammad. “We stood with you then,” he said. He said it’s a small minority that’s causing the damage. “We are not going to allow those voices to speak for our community,” Johnson said. You can’t shout “fire” in a crowded theater. 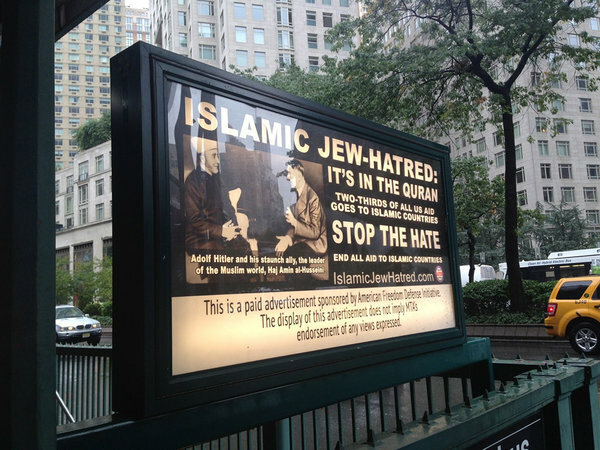 Can an ad proclaim “Jew-Hatred: It’s in the Quran” on a crowded bus? That’s the free-speech issue before U.S. District Judge Mitchell Goldberg in Philadelphia, who soon will have to decide whether a private group’s ad targeting the Quran and seeking to “end all aid to Islamic countries” can appear on SEPTA’s buses, trains, shelters, and kiosks. Defenders of the ad say it falls into one of the First Amendment’s most preciously protected categories: public-issue speech. SEPTA general counsel Gino Benedetti acknowledged the importance of free speech but took a different approach during testimony before the judge Wednesday. Benedetti said he rejected the ad in the fall because of its potential to cause harm and incivility in a transit system that serves and employs Muslims among its one million daily customers and 9,000 employees. Produced by the American Freedom Defense Initiative (AFDI), the ad features a photograph of a 1941 meeting between Adolf Hitler and Haj Amin al-Husseini, a Palestinian Arab nationalist who made radio broadcasts supporting the Nazis. A Muslim woman who says she was forced to attend Christian church services during a 60-day jail stint in Cleveland on an assault charge has sued the county. Sakeena Majeed said in a federal lawsuit filed Thursday that a correction officer made her and other Cuyahoga County jail inmates attend Friday afternoon services led by a Baptist minister. She alleged that she was threatened with solitary confinement if she did not attend and that another correction officer mocked her when she refused to actively participate. 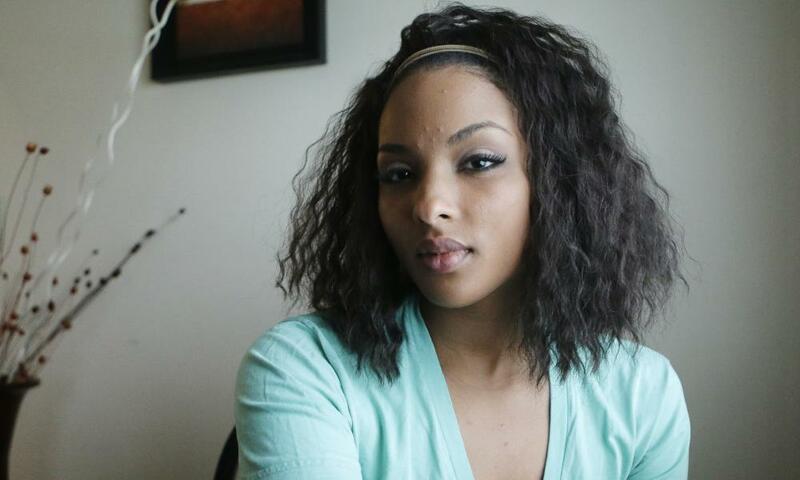 Majeed’s lawsuit seeks unspecified damages. A county prosecutor’s spokesman, Joe Frolik, declined to comment about it on Friday. Majeed, of suburban Rocky River, was sentenced to the county jail on 3 April after pleading guilty to assault. She was arrested on her lunch hour on 18 July, 2013, after getting into a confrontation with a police officer who had stopped her for jaywalking, Besser said. Records show she was indicted on charges of felonious assault, assault on a police officer and resisting arrest. Her sentence began 11 April. Forcing someone to attend a church service against his or her will is a clear violation of the constitutional right to freedom of religion, a right that is not lost when someone is incarcerated, Besser said. Majeed primarily wants to bring the jail’s practice to light and to prevent what she experienced from happening to others, he said. A man in Boca Raton punched the hood of a car because he thought the driver was Muslim, police said. Boca Raton police got a call about a drunken man who had punched a car at about 6:30 p.m. Wednesday at 101 Plaza Real. The driver of the vehicle told officers a man, later identified as James Caputo, wandered into the street and was standing there. He stopped his car and waited for Caputo to get out of the street, but when he didn’t, he honked his horn to get him to move. Caputo turned to look at the driver, who according to police has an olive complextion and dark hair, and started screaming at him. According to the arrest report, Caputo cursed at the man, called him a Muslim and told him to go back to his country. The driver told police he is Lebanese but is not Muslim. The driver yelled back at Caputo and then Caputo punched the hood of the man’s car, leaving a significant dent, police said. Last month, the Texas State Board of Education approved a set of social studies textbooks after some disputes between Christian Right members of the board and scholars who had reviewed the texts. 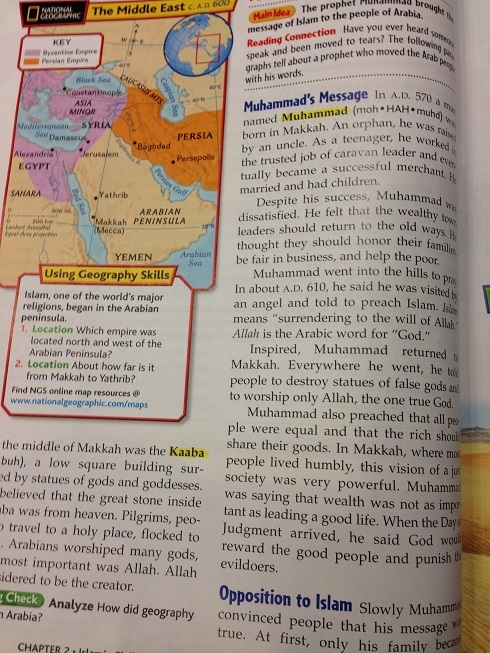 Although experts recruited by the Texas Freedom Network to review the proposed texts managed to convince textbook companies to remove some objectionable material, some claims demanded by conservative members of the board remained, including assertions that Moses was a direct influence on the founding of the U.S.
A group of protesters asked the Manhattan Beach Unified School District to review how it teaches Islam at the school board’s meeting on Dec. 10. During the meeting, 11 individuals explained how they thought the school board should change or eliminate its teaching of Islam. The parents of a Manhattan Beach Middle School seventh grader said that they became concerned when their son showed them his homework, which asked students to write down the five tenets of Islam. The boy’s father, Keith Johnson, said that they had asked the school’s principal to remove the textbook, Medieval and Early Modern Times. “We are not anti-Islam, but pro-equality,” he said. Later, Gary Aven of Redondo Beach asked where the principal, John Jackson, was. “He’s right here,” said a man, indicating the man next to him. “Why didn’t you respond to that parent?” he asked, pointing at Jackson. “Oh, I did,” said Jackson before Bill Fournell, the newly elected president of the school board, interrupted. “Sir, this isn’t an inquisition,” he said to giggles from a group of high school students. Once public comment ended, Superintendent Michael Matthews said that the textbook and curriculum were “specifically prescribed” by the state, and that he supported that mandate. “Scrutiny can be a great thing,” said Matthews. “I’m proud to be a place where people can come to us to speak their mind. But in terms of banning a certain part of the curriculum that people don’t agree with, I’m not going to go along with that.” He invited the protesters to give their feedback to the state. After the meeting, Jackson and a couple of others discussed how they would exit the building. When asked if other parents had contacted him about the Islam issue, he said no. “Outside the board meetings, they’re the only ones,” he said. An Islamic faith center in St. Cloud was damaged again this week, and its leaders are voicing fears about its members’ safety. The Central Minnesota Islamic Center in the 300 block of Fourth Avenue South reported a broken window shortly after 7:30 p.m. Monday. Two people were inside when it happened, center spokesman Mohamoud Mohamed told the Times. He said they were on the other side of the building and weren’t injured.